Daniel Defense DD Delta 5 Modular .308 Winchester/6.5 Creedmoor Tactical Bolt-action Rifle/Carbine’s Got Some Interchangeable, Suppressed Barrel Mojo! (Video!) | DefenseReview.com (DR): An online tactical technology and military defense technology magazine with particular focus on the latest and greatest tactical firearms news (tactical gun news), tactical gear news and tactical shooting news. Well, this is a first, at least for Daniel Defense (DD). DD’s branching out for the first time from the AR (AR-15) rifle world with a bold new foray into tactical bolt-action rifles with the new Daniel Defense DD Delta 5 modular .308 Win./6.5 Creedmoor tactical bolt-action rifle/carbine with “interchangeable cold hammer forged barrel” and “user-configurable stock” (buttstock). 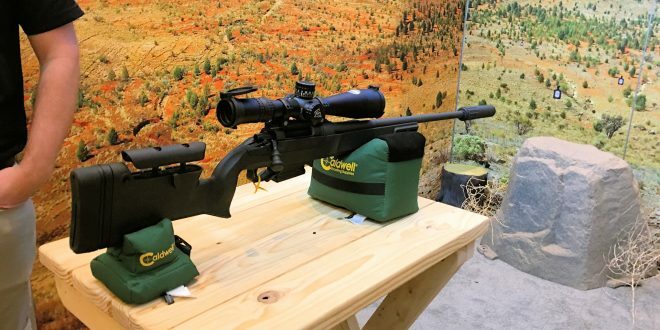 It’s just a good-looking little bolt-action rifle package, and DefenseReview (DR) was glad to come across it at SHOT Show 2019. 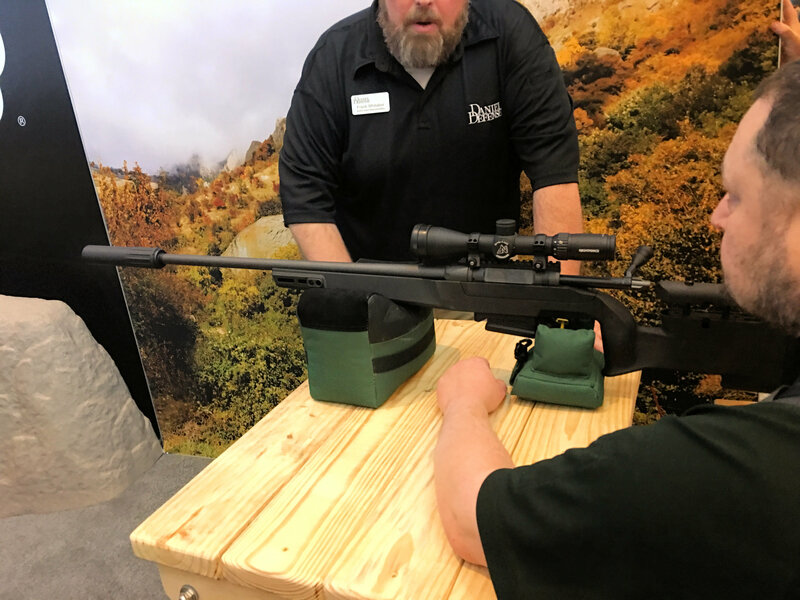 The key to the Delta 5’s mojo would appear to be that interchangeable “Heavy Palma”-profile barrel system, which allows the end-user to go from .308 Winchester config to 6.5 Creedmoor config pretty quickly, along with its 5⁄8×24 TPI (Threads Per Inch) barrel threading for mounting a muzzle can (silencer/sound suppressor). DR should perhaps also mention that DD’s got an interactive website dedicated to the Delta 5 rifle that’s worth checking out. 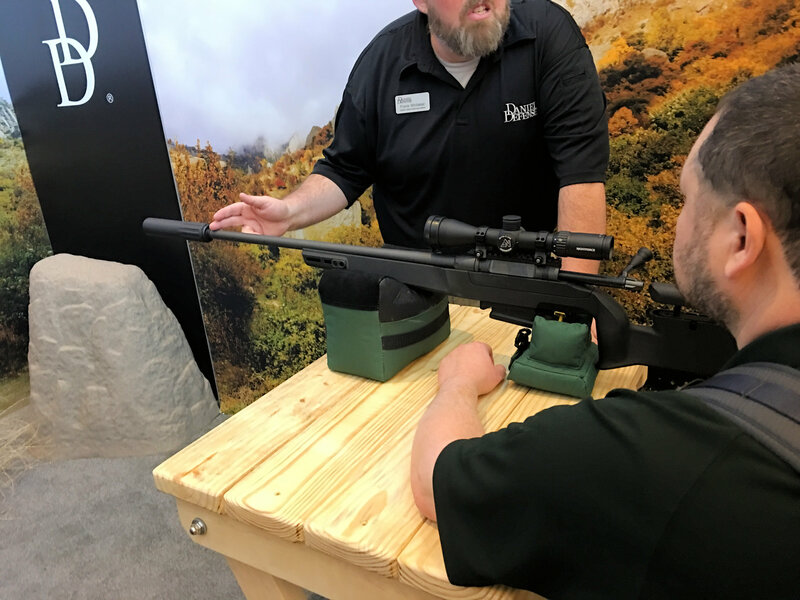 Editor’s Note: Defense Review hasn’t yet T&E’d the DD Delta 5 Rifle at the range, but we’d love to have DR writer/contributor and chief new-product tester Jeff Gurwitch or one of our precision-rifle-shooting-specialist contacts test and evaluate it for us at some point. 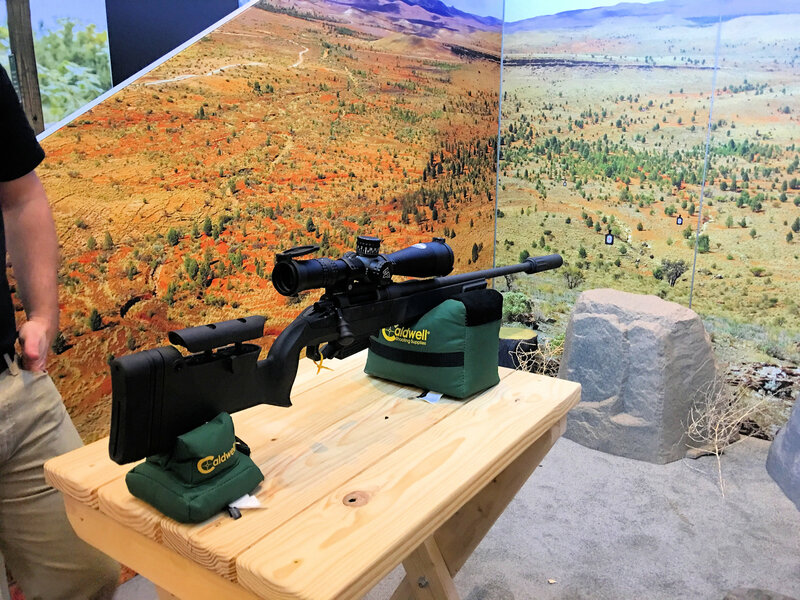 At the moment, we’re only going on what we saw of it at SHOT Show.